When this painting entered the collection of the Dallas Museum of Fine Arts in 1954, it was attributed to Thomas Eakins. 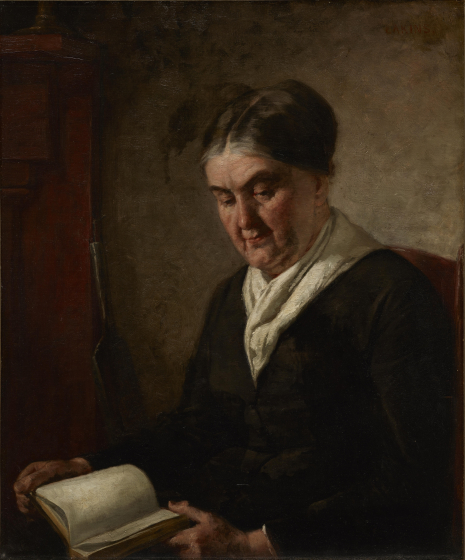 Like Eakins' Miss Gertrude Murray (1975.1.FA) this representation of a solitary figure abides by the realism and somber feeling evoked by the artist's late portraits. 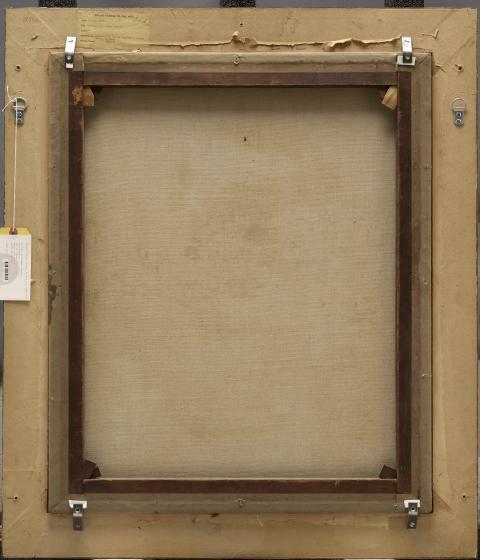 The attribution was adjusted at the recommendation of Lloyd Goodrich, then the Associate Director of the Whitney Museum of American Art and an expert on Eakins' career. 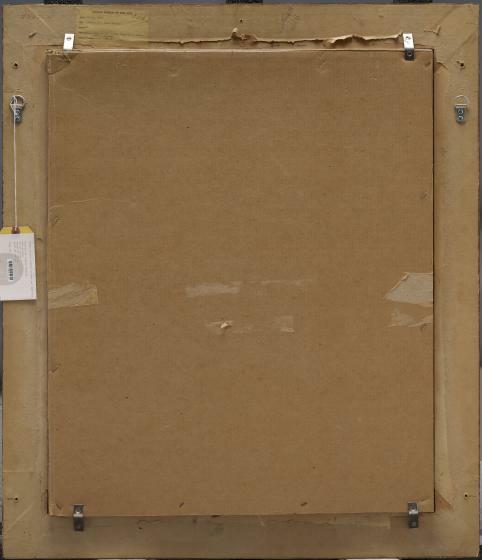 In a letter dated November 1955, Goodrich shares his research on this painting with a DMFA curator and included the note that Eakins' wife questioned its authenticity. 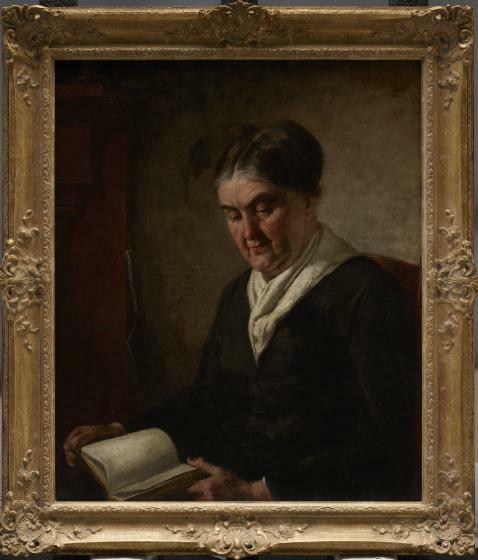 Susan Macdowell Eakins (1851-1938) spent the final decades of her life promoting her husband's legacy and encouraging the distribution and study of his work. 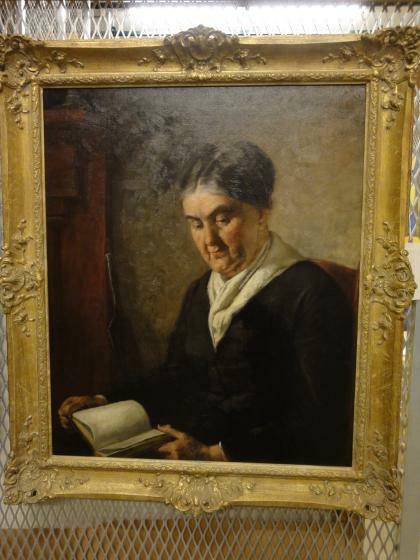 According to Goodrich, when shown a photo of this painting by a New York dealer, she strongly rejected Portrait of a Woman Reading as part of her husband's oeuvre. Thus, the anonymous portrait is now cataloged with the qualifying statement that it is "attributed to" the great American realist. Emily Schiller, Digital Content Coordinator, 2016.